The United States spends much more on healthcare per capita than other wealthy countries—$10,384 vs. an average of $5,169, respectively, according to the Peterson-Kaiser Health System Tracker. Yet overall, health outcomes in the U.S. are worse than in other wealthy countries. For instance, the U.S. sadly boasts the highest rates of medical error, disease burden, and death amenable to healthcare. The promising news? Healthcare innovators seeking to address America’s crisis of care cost and quality are increasingly adopting value-based payment models, which are an important step toward solving the problem. In contrast to the predominant fee-for-service model, in which payers reimburse providers a fixed fee for each service they provide from an approved list, value-based payment (VBP) models hold providers financially accountable for both the cost and the quality of care they deliver. VBPs reward providers financially for delivering better, more cost-effective care, and can penalize them for failing to do so. Value-based payment models come in different flavors, varying in the level of provider accountability they entail. The level of payment a provider receives is tied to cost and quality targets, which may be developed and imposed by government agencies such as the Centers for Medicare and Medicaid Services, state health departments, and/or health systems themselves. These targets ensure that providers do not cut costs at the expense of patient outcomes. 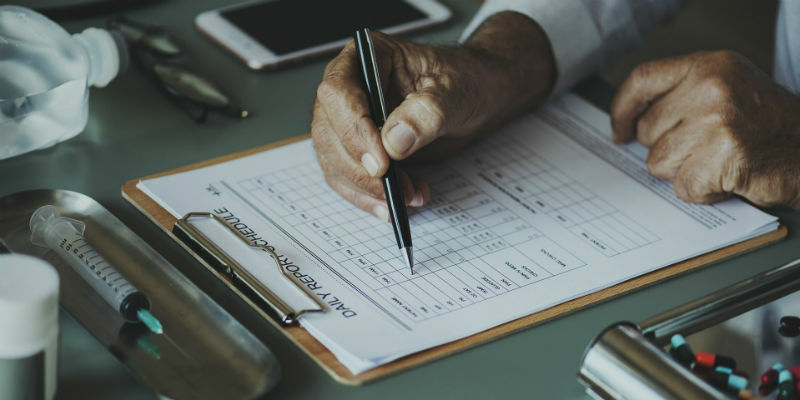 Examples of quality measures include post-hospitalization readmission rates, provider-to-patient ratios, and percentage of patients receiving preventative care (such as immunizations). Pay for Performance: Under this model, physicians receive financial bonuses for achieving specific care-quality and cost targets. However, this model is typically deployed as an overlay to fee-for-service payments, which can incentivize the provision of costly, and sometimes unnecessary care. Also, bonuses have often proven insufficient to reward or enable the necessary changes in provider practice. Bundled Payments: An alternative to fee-for-service payments, providers working under this model are reimbursed a fixed, predetermined fee to perform all the services associated with a given procedure (e.g., knee replacement surgery), rather than an individual fee for each. So, providers benefit financially when they perform procedures most cost-efficiently and effectively, avoiding unnecessary procedures while prioritizing care for preventable complications. Capitation: Providers working within capitation models take full financial responsibility for the health of a defined patient population. Members pay a fixed, usually annual, premium, and those premiums are pooled together to fund care for the entire population. Unlike fee-for-service, this model enables providers to spend funds however they think best to maximize the health of their covered population. And the more successful they are at doing this, the more of the premium funds they can apply to the bottom line, rather than to direct care costs. . So, capitation rewards delivery of high-quality and cost-effective care, rather than overutilization. Shared Savings: This model entails payers setting a budget for care-delivery costs, such that providers whose total costs fall below the budget share in the savings. Shared savings is not itself a payment model, but can be used in conjunction with a number of models, from fee-for-service to value-based models. Shared Risk: A step beyond Shared Savings, providers working under this model still share in any recognized savings but are also expected to pay for any care delivery costs exceeding the payer-set budget. The Centers for Medicare and Medicaid Services has arguably led the charge toward value-based payment models, through various programs that design, pilot, and reward providers’ participation in them. But commercial insurers like Aetna, Humana and BlueCross/BlueShield have also been influential proponents of the models. As a result, they’re gaining traction. According to a report from the Health Care Payment Learning and Action Network (LAN), 34% of all U.S. healthcare payments in 2017 were tied to the value of care delivered, up from 23% in 2015. And as more payers and providers hop on the VBP bandwagon, evidence of their positive influence on care quality and cost-effectiveness is growing. In the first half of 2018 alone, for instance, Blue Cross Blue Shield providers participating in value-based payment models reduced care costs by 35%. They also saw a 15% decrease in hospitalizations and 10% decrease in emergency room visits among their patients. In spite of promising outcomes like these, many physicians are not completely on board with the shift to value-based payment models. A 2018 Quest Diagnostics survey of payers and providers found physicians are feeling varying levels of reluctance. Concerns include the belief that quality measures are too complex to achieve, and that physicians do not have all the information they need about their patients to improve outcomes. Some payers also believe that physicians lack tools necessary to succeed in a value-based payment model. Physicians’ concerns are understandable; realizing clinical and financial success in a value-based payment model requires innovative business models, and great skill in population health management that many providers have not yet developed. However, shrinking margins due to an older, sicker U.S. population and ever more sophisticated and costly treatments, combined with payers’ pressure to deliver a better return on care dollars invested, may push providers toward VBP despite their concerns. That may prove to be a good thing in the long run—as more and more success stories are reported, evidence points toward value-based payment models as a step in the right direction for healthcare. 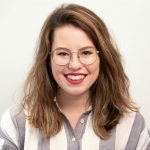 Jessica is a research associate at the Clayton Christensen Institute for Disruptive Innovation, where she focuses on business model innovation in healthcare, including new approaches to population health management and person-centered care delivery.